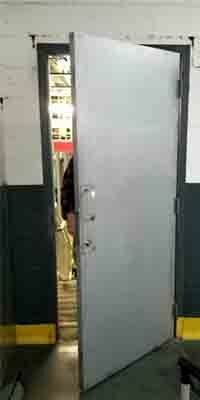 We repair all types of fireproof doors in NYC. 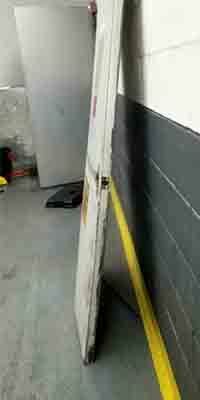 Fireproof door repair and replacement. We repair all types of fireproof doors and door mechanisms–including pivots, hinges, frames, and closers–in a timely manner. At Door Repair NYC, we take pride in providing you with the latest products and installation methods, and above all prompt and reliable services. As such, we guarantee superior results and satisfaction. In this job, a new staircase was installed. A fire door is a door with a fire-resistance rating used as part of a passive fire protection system to reduce the spread of fire and smoke between separate compartments of a structure and to enable safe egress from a building or structure or ship. 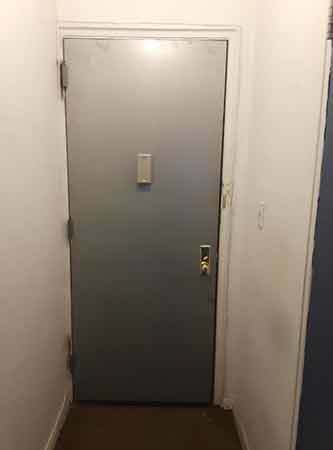 Can a new door fit the existing frame? These doors can be provided in a range of sizes to suit most applications, therefore, can be retrofitted to replace existing door sets. 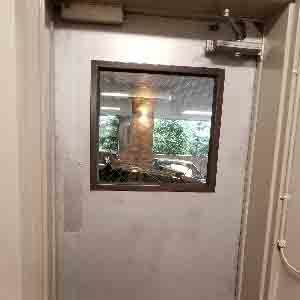 Looking for a fireproof door that’s reputable and affordable? Call Door Repair NYC Today at 212-202-0491 For A Free Quote. 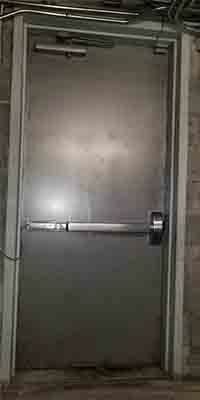 We offer the best fireproof door repair services at the fairest prices, and most importantly with great service. Call us today at 212-202-0491 for efficient and professional fire door repair and/or installation. 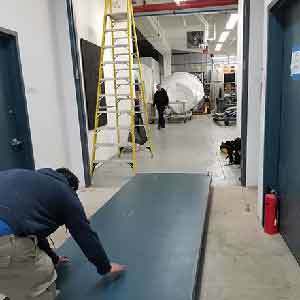 Door Repair NYC provides its services in Manhattan, Brooklyn, Queens, and the Bronx, as well as all across Long Island. Most importantly fire doors must stay closed in the event of a fire. As such properly operating fire door is a key component to stop the spread of deadly fire, smoke, and toxic fumes and gases. Fireproof doors that are used on a day-to-day basis increase the possibility of a fire door not being in an optimal condition. 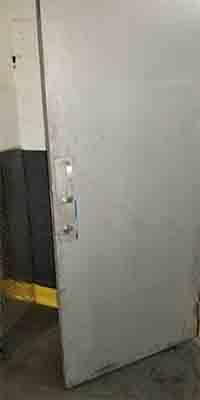 Therefore, keeping these doors under regular maintenance is very important, inspection is also required. 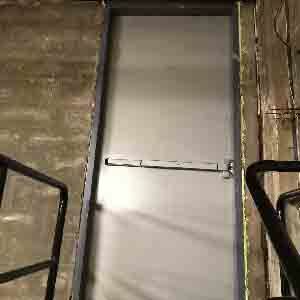 Fire-rated doors are an integral part of a building’s overall fire protection. 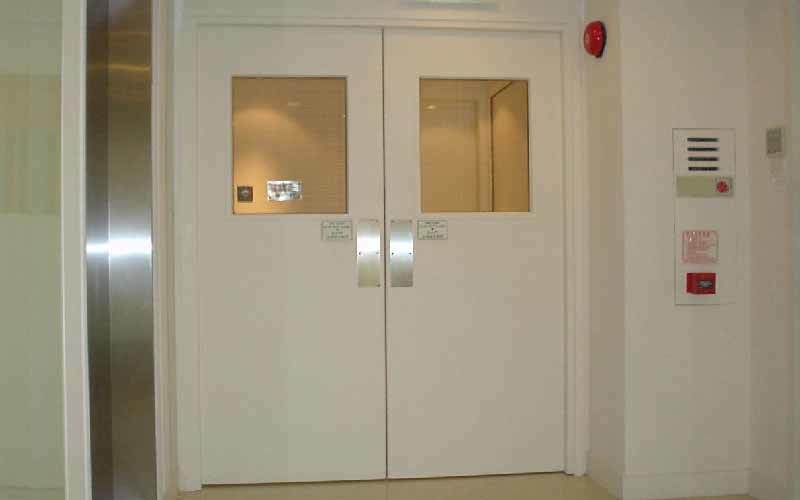 As a result, fireproof doors are suitable to use throughout design, specification, and installation of rated openings, and most importantly including the language of the Life Safety Code, NFPA 80 and the International Building Code. An automatic latching mechanism must be included on an automatic latching mechanism. All hardware needed to be fire listed for instance push bar exit devices, lever handles, and doorknobs. 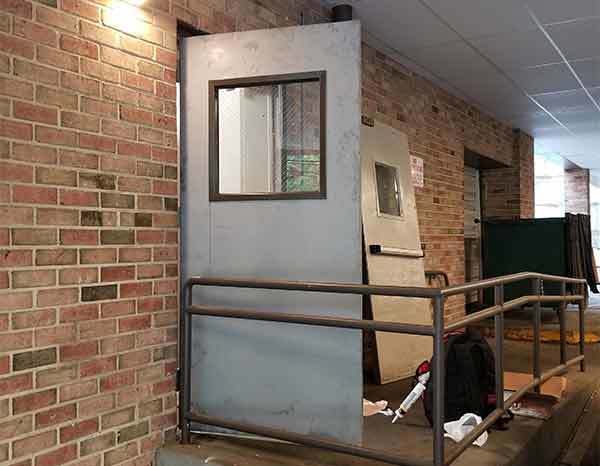 Fire rated double doors required a listed flush bolt on the inactive leaf or fire vertical exit devices on both leaves. The fireproof doors can be provided in a range of sizes to suit most applications, therefore, can be retrofitted to replace existing door sets and opening. Closer-Holders help stop the spread of fire by closing fire and smoke rated doors when power is interrupted by a fire alarm condition or remote release switch. Hinges with steel bearings or door closers are required at all fire rated openings since fire-rated doors must remain closed at all times (which entails a self-closing mechanism). 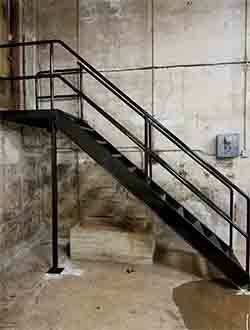 Fire Exit Hardware is an exit device that is tested for both panic and fire conditions. 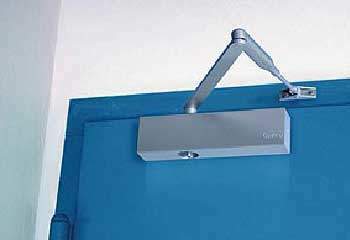 This device must be used on fire doors where panic hardware is required by code or is desired for durability and safty. 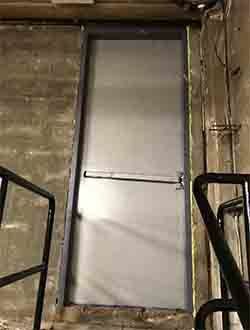 Since fire doors require positive-latching, fire exit hardware does not incorporate mechanical dogging. If a push/pull function is desired for a fire door, electric latch retraction hardware may be installed, as long as the latch projects automatically upon fire alarm. Maintain the safety and security of your establishment by installing exit door emergency alarm and lock. This alarm will work with left- or right-handed doors and includes a cover lock to protect the alarm from being disabled. Furthermore, the lock prevents unauthorized entry into your building from the outside, and the bolt assembly is saw-resistant to deter tampering. 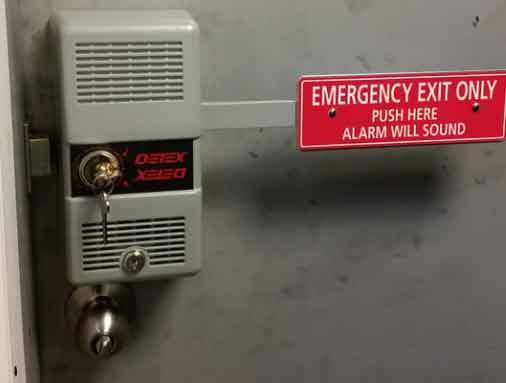 A highly visible red sign indicates the location of the emergency exit, and a high decibel alarm is activated when the exit door is opened from the inside. For convenience, the alarm does not need to be hardwired and runs on the included 9V battery. 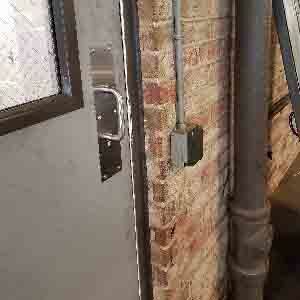 Protect your business, staff, and guests by installing an exit door alarm. Cylinder locks are required to enable door lock and to arm or disarm the alarm. Fire doors are rated for three-fourths of the rating of the surrounding wall, for example, A 3-hour door is used in a 4-hour rated wall; a 1/2-hour fire door is used in a 2-hour rated wall, and a 3/4-hour door is used in a one-hour rated wall. But one exception, that 1/3-hour rated doors are also used with one-hour rated walls. 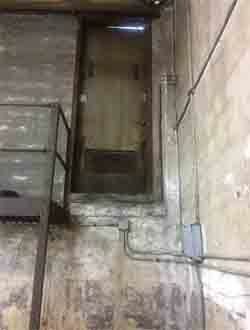 However, a door with a higher fire rating that opening requires may also be used. For example, a door rated for 3 hours may be used in a 1-1/2 hour opening. In addition, all requirements for the 3-hour rating, such as maximum glass size, door size and other restrictions for the higher rated door must be met. For code requirements & standard in NYC, visit the NYC Fire Department’s website.